As you may know, I am currently working towards a teaching qualification and to do so I have found a placement in the Art Department at a local senior school/college. 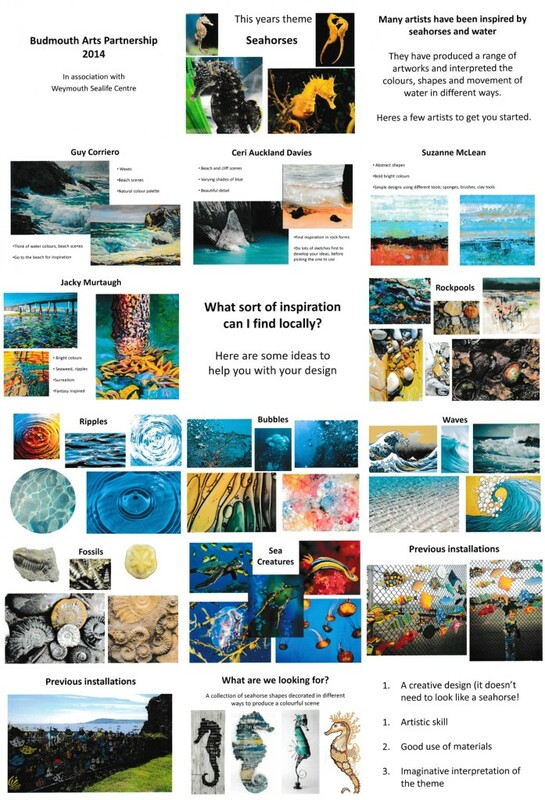 I am working with years 10 and 11 of the school and with the sixth form years, on a variety of art modules and projects. 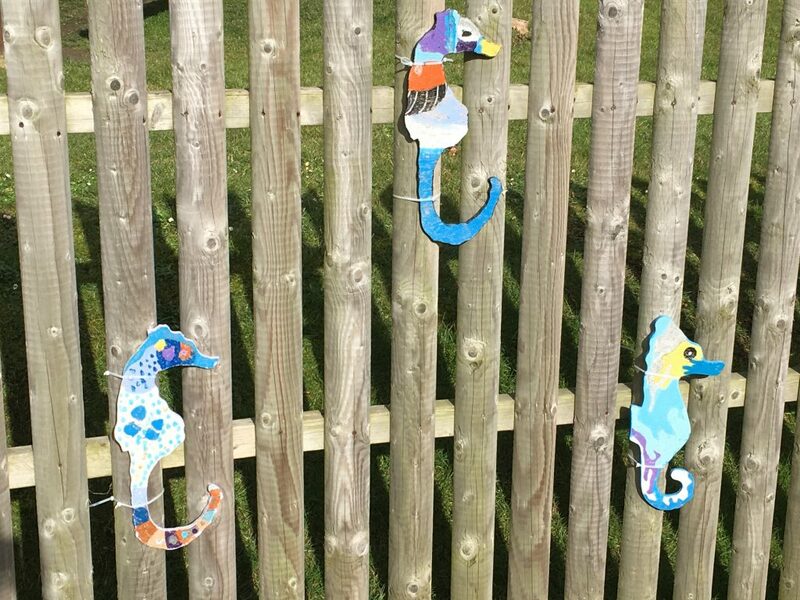 As part of this placement, the Head of Art has asked me to oversee the Seahorse Project. 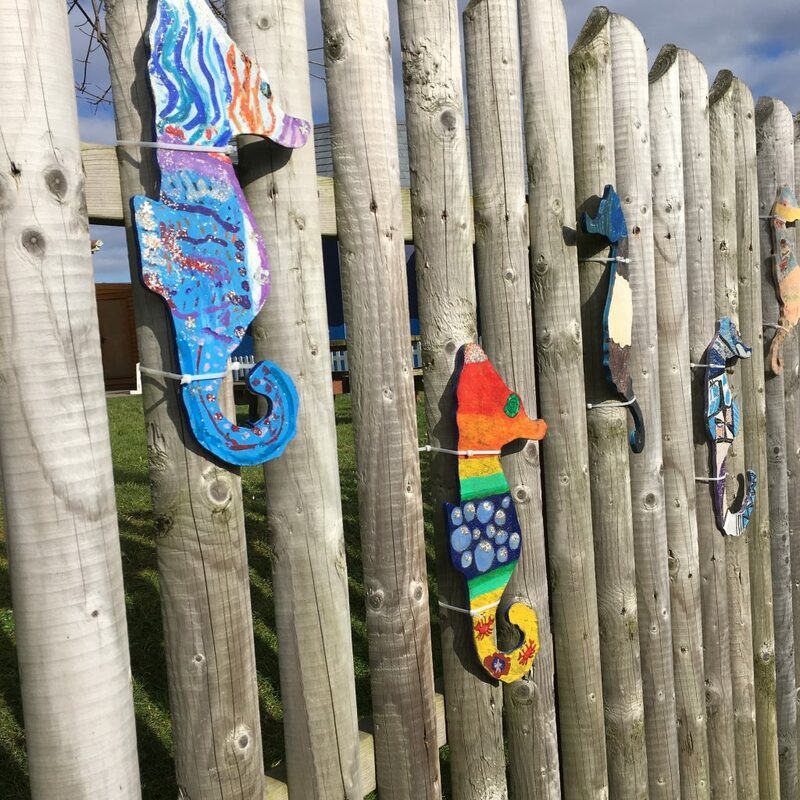 Down here in Dorset we have the Chesil Arts Partnership, which encourages all the local schools to work together and share ideas. 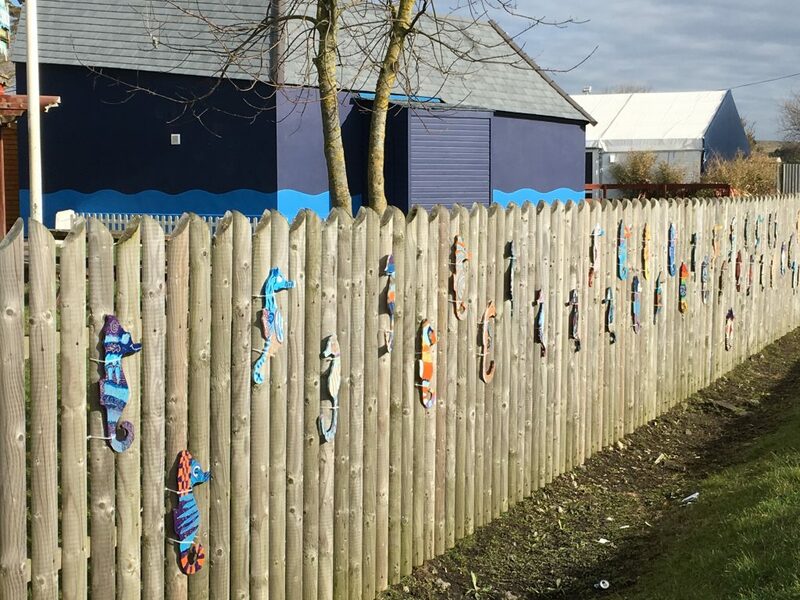 Each year they have a different theme (based on something local) and the schools work together on an art project. It’s funny as I actually used to work at the bio unit of Weymouth Sea Life Centre and supervised the Jellyfish Breeding programme as well as helping with the Seahorse one. 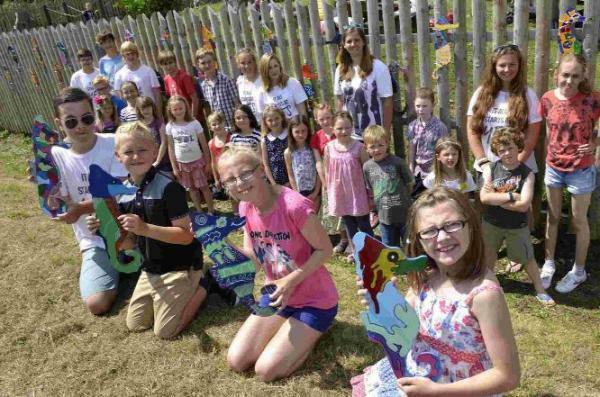 This year we have teamed up with Weymouth Sea Life Centre and the theme is Seahorses. 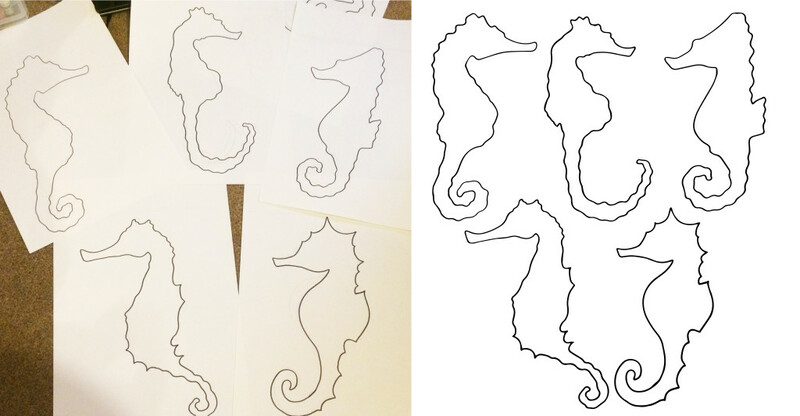 I was asked to design some seahorse shapes that will be used as wooden templates for each school to decorate. These are the designs I created. I was then asked to put together a PowerPoint Presentation that I delivered to all of the local Primary Schools. Here’s the presentation that I created. The aim was to describe the project and what we needed the students to do as well as providing them with inspiration to help them with their designs. 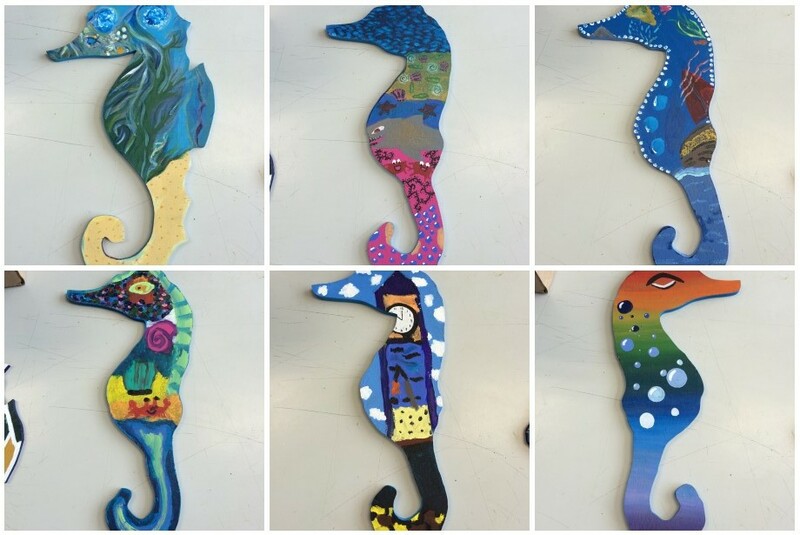 Each school held an Art Competition and students created images of their proposed designs. The best 15 from each school were chosen by their own Head Teachers and then the wooden templates were delivered. I taught a texture class where I helped them to experiment with different methods they could use to create their designs. We used bubble wrap and rollers, scratching through black paint on to crayon layers, mosaic and circle printing. Our students had their own competition and there was a vote on the winning designs. They had so much fun painting and drawing their ideas. I then ran an after school Art Club for 3 weeks where we supported the students in transferring their work on to the wooden templates. It was wonderful watching the students designs cross over on to the wooden texture. There were subtle changes to most because of the the different material, but they looked fantastic! The finished designs were really lovely. They all reflected the local area; the seaside, the tourist attractions or the ocean itself. Each student put so much work in to these, it showed. 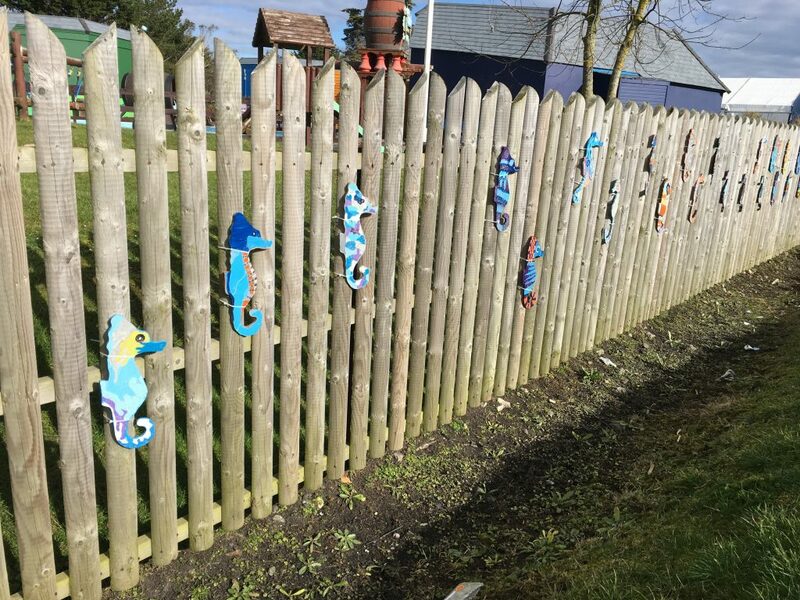 The finished wooden seahorses were collected up and delivered to the Sealife Centre and have been used to decorate the front fence of the park itself. This means they can be seen as you walk or drive past. The finished display is superb! We were also featured in the local paper.